Our focus on Quality and People is the key to delivering successful outcomes for our clients. 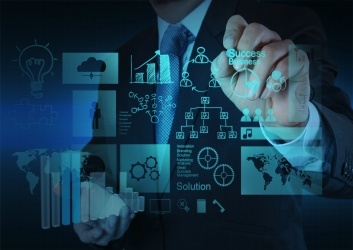 The key to a successful outcome for any IT systems project is to ensure that the business requirements are clearly defined and properly documented so that they can be transformed into a precise set of functional requirements. ITC2 Business Analysts are highly qualified individuals with the experience necessary to deliver on this critical requirement by ensuring that there is a strong culture of communication within the Project Team and the Business stakeholders. They will actively seek to relay back to the Business Stakeholders any opportunities identified to streamline business processes or adverse impacts on existing business operations. Risk identification and mitigation are key attribute of our BA's skill set thus ensuring that the Business Stakeholders are capable of making fully informed decisions at every stage of the project. Talk to us about your Project Management requirements and we will guarantee to deliver the best in the field through our extensive network that includes our Cooperative Partners with both onshore and offshore coverage. We will find the right Project Manager for your project and in the process help guarantee the success of your project by ensuring that the Business Stakeholders are assisted in identifying a set of clear and obtainable objective for every stage of the project life cycle, and that these objectives are communicated to and understood by the wider project team. ITC2 provides Performance Engineers and Testing resources who specialise in measuring, troubleshooting and remediating stress, load and response time issues with your applications or infrastructure. Performance Engineering is a specialist art; known by a precious few people today, people we have available today to service your Performance Engineering and Testing requirements. Contact ITC2 today to enquire how we can help you with your Performance Engineering requirements. ITC2 provides Infrastructure Project Managers who have a specialist skillset in managing the design, acquisition, delivery and deployment of infrastructure solutions for your enterprise applications. Our Project Managers are a cut above the rest and specialise in delivering storage, networks, virtualisation, server hardware and operating systems solutions. Contact ITC2 today to enquire how we can help you with your Infrastructure PM requirements. ITC2 provides Technical DevOps staff who are a cut above your average technical resources. Our BE's are veteran Sys Admins staff with design (architectural) and development (coding) skills thrown in. Understanding the lower layers of technology from the network layer up, they are typically in high demand, working for Operations, Technical and Infrastructure Managers. Contact ITC2 today to enquire how we can help you with your Systems-Build requirements. Without a finger on the pulse of your Systems behaviour, you have no idea whether it is optimised, or running extremely poorly. Systems Monitoring Resources understand a systems heartbeat and the tools required to listen, measure and report on the Systems behaviour. Systems Monitoring Resources are essential members of any Operations or Performance Engineering team. Contact ITC2 today to enquire how we can help you ensure that your systems are running in an optimum state through the provision experts in the field. Provision of Professional Consultants to meet project delivery needs. Our Quality Assurance Managers work within your organization to plan, organize, direct, control and coordinate the delivery of your projects, ensuring that they comply with the quality procedures and standards that already exist within your organization. In the event that it is needed they will implement new quality procedures and standards for your organization. They will then monitor and report against agreed targets to ensure all tollgates are meet and that all project artifacts duly certified. Our test managers are able to coordinate and lead the testing effort to a successfully outcome across a broad range of technologies and different industries. They are experts in the discipline of testing and focus on implementing a testing process that best suites the delivery of the project. Whilst delivery is a key focus, they are also able to fulfill the role of a leader and mentor to ensure all testing resources under their charge have an opportunity to increase their capability by project end. 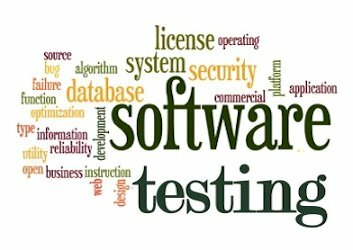 Whether designing or assessing test artifacts their focus is on ensuring quality outcomes throughout the Software Development Life Cycle. The main focus of our test analysts is to ensure the successful delivery of the testing process within a project. They achieve this by identifying and defining scope and tests that best meet the business requirements. They ensure adequate test coverage, manage test execution and provide accurate reporting to their leads. If required, they can also fulfill the role of defect manager, help support and govern the UAT process, as well as structure a suite of tests that demonstrate a successful implementation. Our User Acceptance Testers have extensive experience in working and testing applications as an end user. They are able to design and execute tests that ensure the business requirements have been met whilst delivering change into an organization. They are also able to assess these requirements and relate them back to real world scenarios so that the business is delivering real benefit back to its customers or end users. In conjunction with the above, their skillsets also include test planning, test case design, test execution and the raising of defects. Ultimately they take on the responsibility of the final sign off prior to implementation. ITC2 provides expert advice to help customers organize their own software testing activities across different execution models such as Waterfall, Iterative and Agile throughout the project life-cycle. ITC2 has extensive experience in helping our client achieve their aims when considering implementation of a Test Automation strategy. 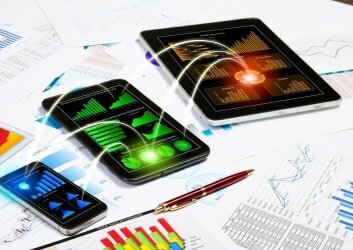 We help our clients to speed up manual test effort through automated scripting and a range of other techniques. Our Test Automation experts typically combine testing, development skills, and infrastructure skills in order to achieve an optimum outcome for our clients. And as more organization adopt an agile development methodology, the ability to automate testing becomes critical to the success of the project. We can provide an end to end delivery for web, mobile an tablet development. We provide cost-effective end-to-end delivery for website, mobile and tablet development. Contact us to discuss your application development requirements today. We believe that a person's interaction with a device interface goes beyond visuals. Our philosophy is to focus on delivering the best user experience possible with leading interface design. Fliplet lets anyone in your organisation create apps. It enables HR managers to launch Health & Safety apps, sales people to launch presentation apps and finance to launch reporting apps.